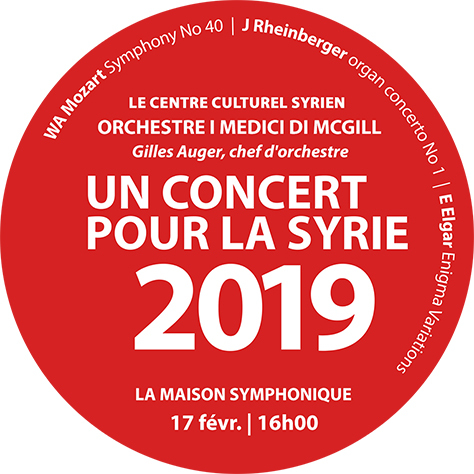 It is with great enthusiasm that we announce the 4th edition of the Benefit Concert for Syria with the participation of the I Medici Di McGill Orchestra on Sunday, February 17 at 16:00, at the Montreal Symphony House / Place des Arts at 1600 St Urbain street in Montreal (corner of Boulevard De Maisonneuve West). 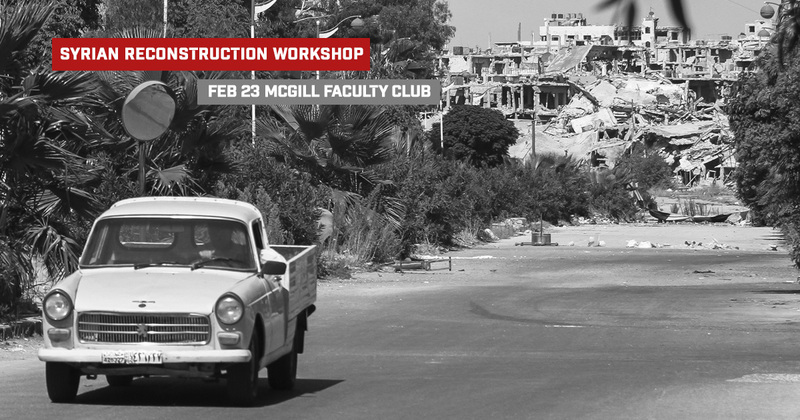 We count on your participation and your support in our effort to help alleviate the plight of internally displaced persons in Syria and to support newcomers adapt to their new life in Canada. Thanks to your generosity, we hope to continue to provide financial support to Syrians through our partner CJI (Canadian Jesuits International), a charity recognized by the Canadian Government and working on the ground in Syria since 2008. We also hope to create programs aimed at helping newcomers, refugees and immigrants adapt to life in Canada. 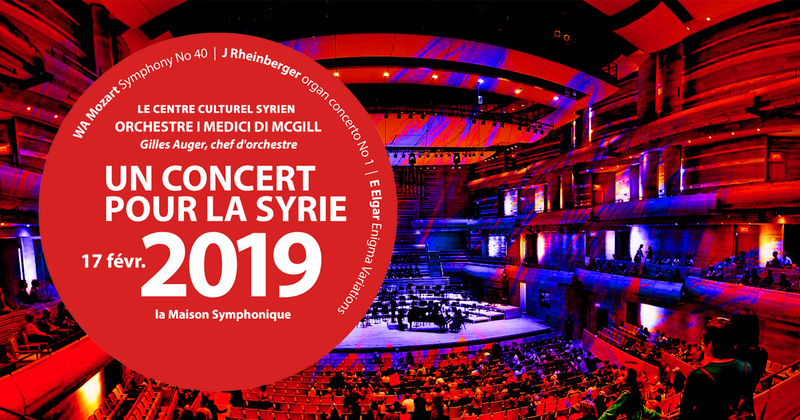 We would like to thank all our sponsors and in particular “la caisse des Versants du mont Royal“, which is part of Desjardins Group for their generous contribution as platinum sponsor to our 4th edition of the Concert-benefit for Syria, we are honored with this collaboration and we We are confident that our partnership will support newcomers throughout their integration journey in Canada. 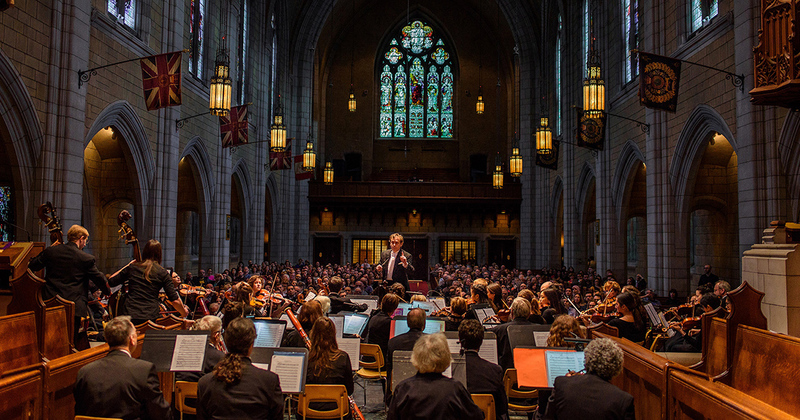 A successful 3rd benefit concert for Syria and exclusive unveiling of an artistic projection! 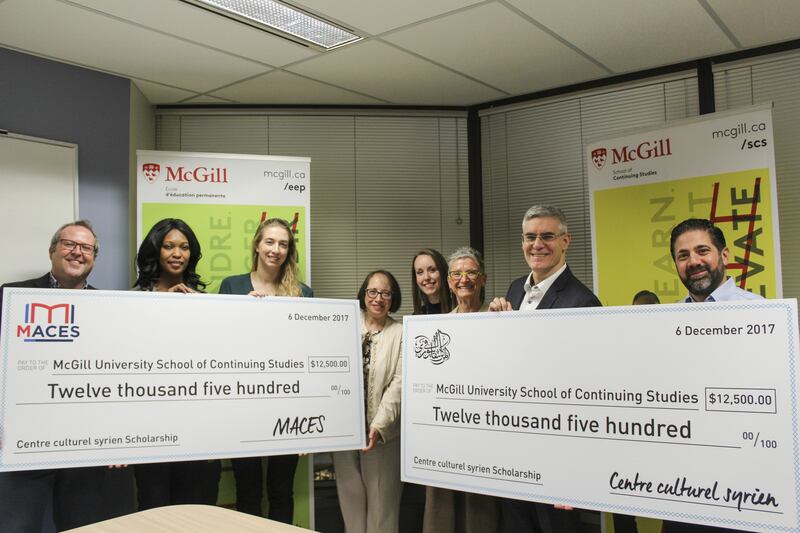 Montreal's Syrian Cultural Center is a non-profit organization currently dedicating its efforts to help alleviate the plight of the displaced and those who have been impacted by the situation in Syria.